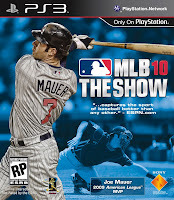 When MLB 10:- The Show first came out in March, I could not help but gush over how good this game is. But as with every similar case, love at first sight, is always short sighted. To put it simply, this game has flaws. For all the moments when you are in the midst of a quality start, you will give up a base hit, because the outfielder doesn’t recognize a fly ball...right above him. How can a player like Joe Mauer, or Albert Pujols, be traded for a few minor leaguers who were created just for this game? A check swing might as well be considered a strike no matter what. At the same time, if the swing information, which is brought up by pressing the L3 button, says the batters timing is perfect, why does he hold his swing?! And before I move on, do not even bother playing at Tropicana Field, home of the Tampa Bay Rays, because the game will freeze. Imagine playing through an entire season as any team in the AL East, let alone the Rays. So why then, have I put in over a 100 hours into half a season of this game? For all its flaws, MLB 10 still delivers an authentic baseball experience. Pitching is as close to realism as it gets. Focusing on rhythm and consistency, the game has found a nice balance for the pitching mechanics. If the starting pitcher has a good start to a game, it is very likely that he will have a good finish. However, if he is tagged early for runs, it is a different story. For relief pitchers, daily progress is key to their confidence and location. This builds on the strategic style of game play that the San Diego Studio of SCEA has been implementing in the past years of “The Show”. Every pitcher has the same arsenal of pitches as in real life, and has the same delivery and release. For pitchers such as Daisuke Matsuzaka, you wait a bit longer to throw a pitch, whereas a CC Sabathia fastball is thrown much faster. This year also sees the introduction of a mound warm-up, which allows you to swap a struggling pitcher earlier than last year. Location is also important, as if you keep on placing the fastball in the strike-zone, eventually the AI will figure out the location and tag you for a home-run. An issue with this is that AI batters do not chase a pitch outside as much. Batting is a bit trickier than pitching. While pitching is about momentum, batting is about patience. As in real life, the player has to watch a few pitches, before there is a good one to hit. When you do find a good one to hit, timing is important. One thing of note, is that a perfect timing does not always equal to a good hit. This is all dependent on the speed and type of a pitch. There is also a good balance as to the distance and height of a hit. Playing through franchise mode with the Boston Red Sox, most of the players, aside of Jacoby Ellsbury, have at least one home-run in the season. The most is Adrian Gonzalez (whom I traded for), with 23. As mentioned before, the biggest problem with batting, is the check swing. It does not matter how you time it, a check swing is always reviewed by the corner umpires. More likely than not, it is a strike, even if you barely broke the plane. The reason could be that no swing animation is differentiated from the other, leading to a random call. There are also several occasions where a check swing is called a strike, leading to a strikeout, but due to a bug, the same umpire calls it a ball, even though it’s too late. This is not an issue with difficulty, as my batting difficulty is set to the lowest level. The only way to review a check swing is when the computer sees fit. When the user is pitching, there is no button or command to ask for a review, making it that much more frustrating when you are called out. As with years past, fielding has just been a matter of being in the right spot for the fly-out or the ground-out. It has worked fine, and usually does in MLB 10 as well, but there are a few bugs that simply ruin the games experience. A deep fly ball, at the warning tracks, has a good chance of going past your player, even if they are standing right under the ball. If there is a hit right down the pitcher’s mound, the second baseman or the shortstop usually do not get to the ball in time. If they do, there are moments when a pre-set individual animation comes into play, which goes slower than a turtle. This usually gives up a base hit at the worst times imaginable. As I mentioned how pitching is about momentum, this breaks it, and in turn has led to many occasions where I gave up runs, costing me a game. When there is an infield fly ball, a random fielder is selected to grab the out, usually leading to a chaotic rundown of the pitch. While each of these three key components of the game stand individually, the bugs in the fielding mechanics do take away from a game. As with any genre, a player wants to be rewarded for their countless hours of grinding through a game, and the same goes for MLB 10. These options can be tinkered with in the game sliders menu, and I highly recommend doing so, in order to find the perfect balance of game play. 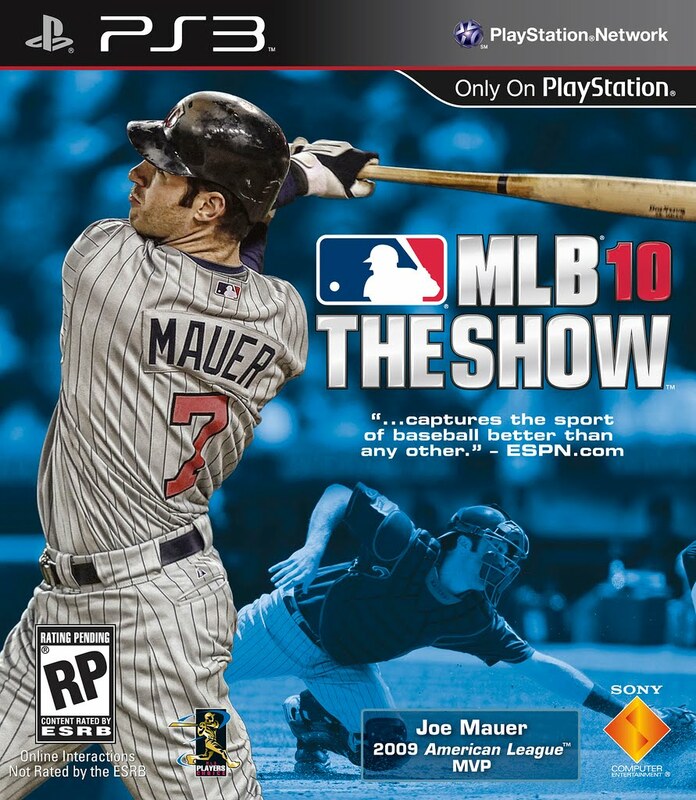 There are a few new additions to MLB 10, such as the home run derby and the catcher mode in Road to the Show. The Home Run derby is a fun event, which is made better with more players. It is only played in the Angels Stadium, where the All-Star Game will be held. The derby is also an offline only affair, but hopefully MLB 11 will fix that, among other issues. Player animations are better than ever. The every evolving graphical prowess of the PS3 is put on fine display in the game, with rarely a hiccup to be found. Team animations have been improved this year, with each player in the dugout having their own AI. The stadiums look simply beautiful and really goes a ways to keep the long season fresh with new venues to gaze at in the game. Fan animations are also improving, adding a new layer to a stadiums atmosphere. The addition of an online season league goes a long way in building a community for this game. So after mentioning all that, I ask myself again; why do I play this game despite all of its flaws? While some of the more basic components of the game have bugs, the details keep you in the thick of the game. The numerous customization features with the game play, pace, and the music, allow you to find a version of the game that best suits you. One can also hope, that with the growth of the PlayStation Network, a patch for some of these bugs is imminent. This is one game that for me, will not end anytime soon. I really can't believe that you wrote so many words on a baseball game. I guess I never really got in to baseball games. I was too busy with NFL, or NHL, or wrestling games.